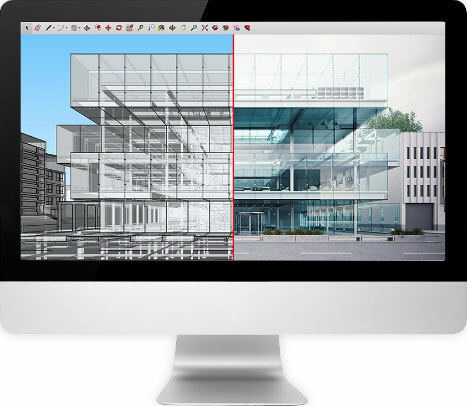 Accelerate your production with SketchUp Pro today. Easy, accessible 3D and 2D modelling software at a fraction of the price of other software providers. SketchUp Pro makes it simple for you to develop highly-accurate models using add-ons to customise your experience. Building 3D models is made simple by the user-friendly SketchUp interface, our local support, and online support tools. Maintenance Reinstatement extends the maintenance for your licence for an additional year and includes the reinstatement fee for maintenance that has lapsed for more than 30 days. This entitles you to all software upgrades within the maintenance period and support from our local team. Maintenance Reinstatement extends the maintenance for your licence for an additional year and includes a reinstatement fee for maintenance that has been expired for more than 1 year. This entitles you to all software upgrades within the maintenance period and support from our local team. Not sure about your maintenance? Find the most cost-effective and efficient SketchUp solution for your team. Ask our team of implementation specialists how to make SketchUp work for you. Ask our team how you can power up your SketchUp licence with these extensions. We can help you get the most cost-effective and efficient SketchUp solution for your whole team. Ask our team of implementation specialists how to make SketchUp work for you. Getting your SketchUp Pro licence is just as easy as learning how to use it. You can order your licence directly through our online store! In the meantime, you can always download the 30-day free trial and kickstart your modelling career today! Add the products you need to your cart. Proceed through the checkout and payment gateway to place your order. Our support staff will process your purchase, assign you a license key and email you the details within the next 8 business hours.